The rise of social media has been nothing less than epic over the past decade but like any other business model, there’s no guarantee that it will last forever. Facebook, in particular, has become a hotbed for malware, they can’t get their mobile platforms to work properly and the layout and newsfeed has become intolerable to many. Of course, the floatation debacle hasn’t helped Facebook’s cause, as share prices continue to fall and investors selling off their own shares whilst they can still recoup some cash. Whilst all this points to the fall of Facebook, Twitter is rarely mentioned as failing and appears to be gaining popularity. However, many find Twitter harder to use, with its constantly changing feed (depending how many you’re following of course) and sponsored links. Whilst many argue that the social networks have reduced corporate blogs as they fall victim to the lure of social advertising, for me, a Facebook page or Twitter account isn’t going to bring a great deal of ROI without quality content to feed the network pages. Facebook especially, is under the cosh at the moment as marketing companies and companies begin to realise that, whilst adverting may garner more ‘likes’, it does nothing to increase actual engagement with the company without excellent content, competitions, special offers and so forth. The idea of buying likes and followers is marketed by third-party firms and these are often less than true to their word. So for businesses, whilst Facebook seems a good advertising model, it’s not providing the fact after it came to light that a lot of ‘likes’ during an advertising campaign are carried out by ‘bots’, automated programs that like a page no matter what its content. A recent study showed anything but the decline of social networks though, with many businesses saying that social media is an important part of their marketing campaign, with Facebook and LinkedIn leading the way. However, it wouldn’t be the first time we saw the decline of what seem to be hugely influential internet players, perfectly illustrated by the demise of AOL and Yahoo, the latter of which continue their attempts to keep their corporate heads above the water. From the point of view of consumers, Facebook is becoming annoying. This is where we may see decline, rather than from companies. The Timeline layout has been criticised from the outset, from consumers and businesses alike, but it’s the newsfeed layout that is becoming increasingly criticised by users. The ‘like this page’ because a friend has liked it doesn’t incentivise me to like a page, it simply irritates that it keeps filling my newsfeed, as do posts from people playing apps as they haven’t paid attention to permissions. Add to this the sheer proliferation of malware (which can be found on Twitter of course, but not as much), survey scams and tasteless pictures of sick children to garner likes from the trolls and it may become too much for consumers as well as investors. With this consumer decline, so will advertising; not much point advertising on a platform that sees users leaving in droves (although we’re not quite there yet) and advertisers will leave too. It’s not a huge stretch of the imagination if you look at the decline of MySpace, which now barely registers on the social media scale. 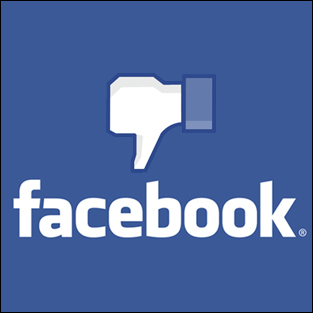 Summing up, Facebook looks the most likely to decline as they are having so many problems that irritate consumers and corporate users the most. However, this is unlikely to be an overnight thing, as they have so many users and Twitter seems unlikely to follow them in that decay. The interest in social media remains strong – think Pinterest and the paid-for Twitter alternative that we mentioned in a recent post and you can see that, as a medium, consumers and companies still want to use it as both a marketing platform and a social platform. To hear more about our social media services, click here.